Though this recipe purports to be of Italian extraction, our favorite (now defunct) Chinese restaurant used to prepare a similar dish. The King Chwan restaurant used more oil and garlic, and many medium-size whole garlic cloves instead of a few large cloves cut in half. I’d be all for using whole garlic cloves next time instead of the large halved ones. However, I’d stick with Weight Watchers' lighter use of oil, which improves the digestibility and nutrition of the dish without compromising the flavor. Bring large pot of water to boil. Add spinach, in batches if necessary, and cook until wilted, about 2 minutes. Drain in colander and rinse under cold running water. Squeeze out excess water and chop. 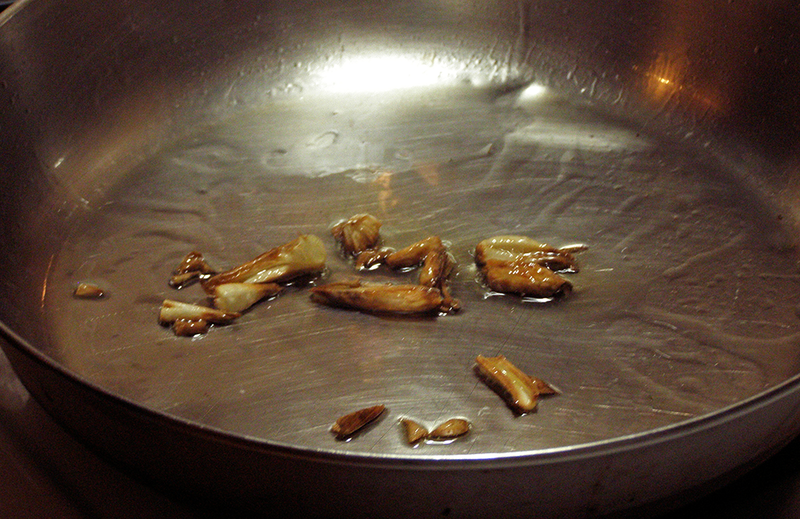 Heat oil in large nonstick skillet over medium heat. Add garlic and cook, stirring, until golden, about 4 minutes. Add spinach and increase heat to medium-high. Add salt and pepper. 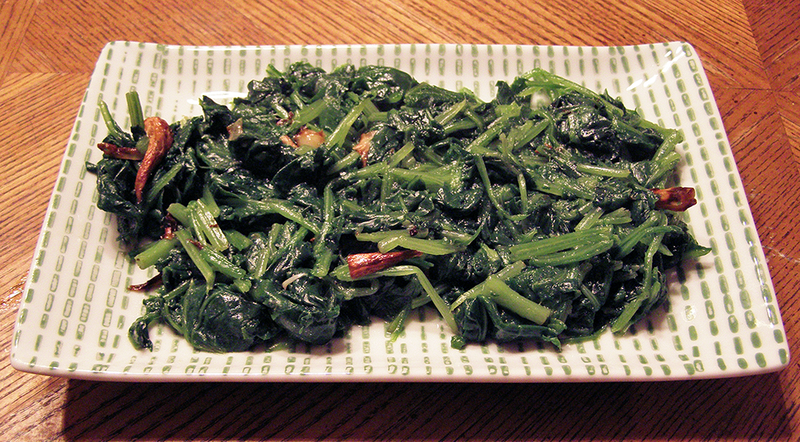 Cook, stirring, until spinach is cooked, about 3 minutes.